2.1 Who we are. 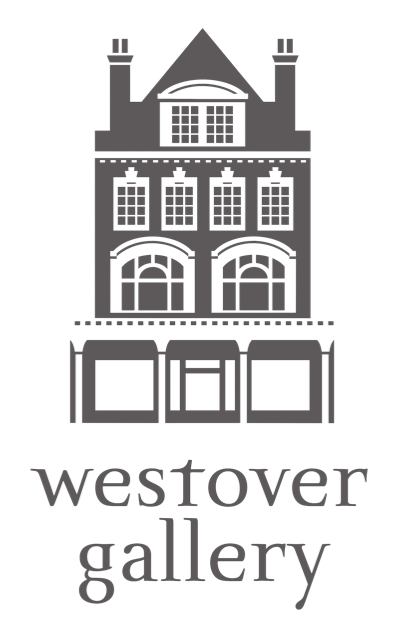 We are WestoverGallery.co.uk a company registered in England and Wales as Picture Business Bournemouth Ltd. Our company registration number is 5131820 and our registered office is at 77a Cheap Street, Sherborne, Dorset DT9 3BA . Our main trading address is 4 Westover Road, Bournemouth, Dorset BH1 2BY. Our registered VAT number is 838 007 334. 2.2 How to contact us. You can contact us by telephoning our customer service team at 01202 297682 or by writing to us at fineart@westovergallery.co.uk. 8.3. You may be able to get a refund if you are within the cooling-off period, but this may be subject to deductions and you will have to pay the costs of return of any goods;(d) In all other cases (if we are not at fault and there is no right to change your mind), see clause 8.5.8.2 Ending the contract because of something we have done or are going to do. If you are ending a contract for a reason set out at (a) to (d) below the contract will end immediately and we will refund you in full for any products which have not been provided and you may also be entitled to compensation. The reasons are:(a) we have told you about an upcoming change to the product or these terms which you do not agree to;(b) we have told you about an error in the price or description of the product you have ordered and you do not wish to proceed;(c) there is a risk that supply of the products may be significantly delayed because of events outside our control;(d) you have a legal right to end the contract because of something we have done wrong.8.3 Exercising your right to change your mind (Consumer Contracts Regulations 2013). For most products bought online you have a legal right to change your mind within 14 days and receive a refund. These rights, under the Consumer Contracts Regulations 2013, are explained in more detail in these terms. 9.1 Tell us you want to end the contract. To end the contract with us, please let us know by phone or email. Call customer services on 01202 297682 or email us at fineart@westovergallery.co.uk. Please provide your name, home address, details of the order and, where available, your phone number and email address. 9.2 Returning products after ending the contract. If you end the contract for any reason after products have been dispatched to you or you have received them, you must return them to us. You must either post the products back to us or (if they are not suitable for posting) allow us to collect them from you. Please call customer services on 01202 297682 or email us at fineart@westovergallery.co.uk or a return label or to arrange collection. If you are exercising your right to change your mind you must send off the goods within 14 days of telling us you wish to end the contract. 9.3 When we will pay the costs of return. We will pay the costs of return:(a) if the products are faulty or misdescribed; or(b) if you are ending the contract because we have told you of an upcoming change to the product or these terms, an error in pricing or description, a delay in delivery due to events outside our control or because you have a legal right to do so as a result of something we have done wrong.In all other circumstances (including where you are exercising your right to change your mind) you must pay the costs of return. 9.6 Deductions from refunds. If you are exercising your right to change your mind:(a) We may reduce your refund of the price (excluding delivery costs) to reflect any reduction in the value of the goods, if this has been caused by your handling them in a way which would not be permitted in a shop. We will carry out a full quality check before processing any refund. (b) The maximum refund for delivery costs will be the costs of delivery by the least expensive delivery method we offer. For example, if we offer standard delivery of a product one cost but you choose to have the product delivered within 24 hours at a higher cost, then we will only refund what you would have paid for the cheaper delivery option. 10.1 We may end the contract if you break it. We may end the contract for a product at any time by writing to you if:(a) you do not make any payment to us when it is due and you still do not make payment within 5 days of us reminding you that payment is due;(b) you do not, within a reasonable time of us asking for it, provide us with information that is necessary for us to provide the products, for example, contact details and confirmation of dispatch address;(c) you do not, within a reasonable time, allow us to deliver the products to you.10.2 You must compensate us if you break the contract. If we end the contract in the situations set out in clause 10.1 we will refund any money you have paid in advance for products we have not provided but we may deduct or charge you any debit or credit card surcharges and reasonable compensation for the net costs we will incur as a result of your breaking the contract. 11.2 Summary of your legal rights. We are under a legal duty to supply products that are in conformity with this contract. See the box below for a summary of your key legal rights in relation to the product. Nothing in these terms will affect your legal rights. Summary of your key legal rights This is a summary of your key legal rights. These are subject to certain exceptions. For detailed information please visit the Citizens Advice website www.adviceguide.org.uk or call 03454 04 05 06.The Consumer Rights Act 2015 says goods must be as described, fit for purpose and of satisfactory quality. During the expected life of your product your legal rights entitle you to the following:· up to 30 days: if your item is faulty, then you can get a refund.· up to six months: if your faulty item can’t be repaired or replaced, then you’re entitled to a full refund, in most cases.· up to six years: if the item can be expected to last up to six years you may be entitled to a repair or replacement, or, if that doesn’t work, some of your money back. 11.3 Your obligation to return rejected products. If you wish to exercise your legal rights to reject products you must inform us within 24 hours of delivery of any physical defects evident from inspection. You should retain the original product packaging and, where possible, record photographic evidence of such defects. You must post the defective products back to us or (if they are not suitable for posting) allow us to collect them from you. We will pay the costs of postage or collection. Please call customer services on01202 297682 or email us at fineart@westovergallery.co.uk to report a defect and to arrange a return label or collection. 12.4 Special Offer exclusions. We do not offer discounts on sale items. On certain newly released limited edition prints we are unable to offer discounts for 6 months following their release date.Delivery Charges . From time to time we may offer special promotions in connection with free delivery. In all other circumstances delivery prices will be calculated according to number and/or size of items and the delivery address and will be confirmed to you ahead of placing your order. Where applicable, VAT will be added to delivery charges. In addition you may be subject to import duties and taxes, which are levied once the package reaches the specified destination. Any additional charges for overseas delivery and customs clearance must be borne by you; we have no control over these charges and cannot predict what they may be. Customs policies vary widely from country to country, so you should contact your local customs office for further information. Please note that when ordering from CollectorsPrints.co.uk, you are considered the importer of record and must comply with all laws and regulations of the country in which you are receiving the goods. Whilst we make every effort to safeguard your privacy international customers and customers dispatching products abroad should to be aware that cross-border deliveries are subject to opening and inspection by customs authorities. For more information see Customs Information.12.5 When you must pay and how you must pay. We accept payment with all major debit and credit cards including American Express and Paypal. You must pay for the products when placing your order. Your credit or debit card will be charged prior to dispatch of the products to you. 13.1 We are responsible to you for foreseeable loss and damage caused by us. If we fail to comply with these terms, we are responsible for loss or damage you suffer that is a foreseeable result of our breaking this contract or our failing to use reasonable care and skill, but we are not responsible for any loss or damage that is not foreseeable. Loss or damage is foreseeable if either it is obvious that it will happen or if, at the time the contract was made, both we and you knew it might happen, for example, if you discussed it with us during the sales process. We are not responsible for any damage and loss you suffer as a result of your request for a glass front in accordance with clause 4.3.13.2 We are not liable for business losses. We only supply the products for domestic and private use. If you use the products for any commercial, business or re-sale purpose we will have no liability to you for any loss of profit, loss of business, business interruption, or loss of business opportunity.